After our trip to Dollywood, we went to Ripley's Aquarium of the Smokies in fabulous Gatlinburg, TN. 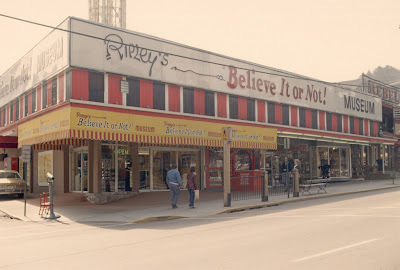 Ripley's, of course, is well known for their "Believe it or Not" features and museums, which are often filled with fantasy. But you can believe that this is one of the best aquariums I've ever seen (second only to the one in Monterey), and it was great to see a very popular tourist attraction in the heart of the bible belt directly addressing real science. Lots more photos, including the aftermath of a parade in Newport, TN, here.